Home » All things bridal » Let The Wedding Season Begin! 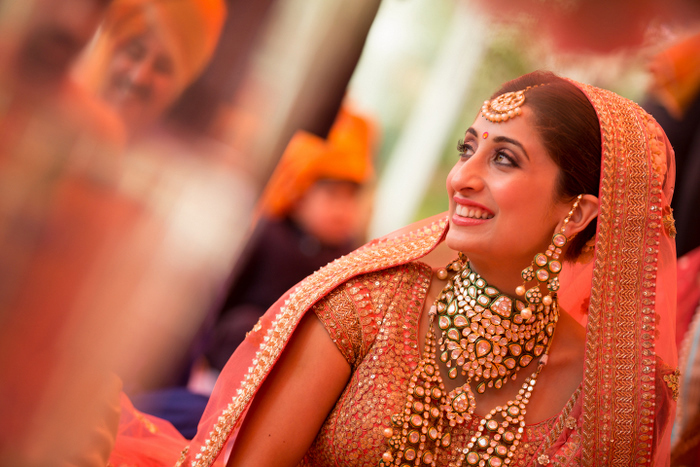 A blend of Indian traditional glamour and borrowed Western conventions make the uniqueness of the upcoming wedding season. 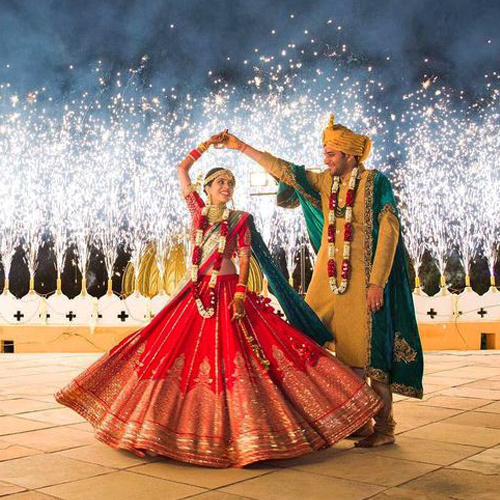 Bright colors, intricate designs, elaborate drapes, rich hues all scream The Big Indian Wedding. 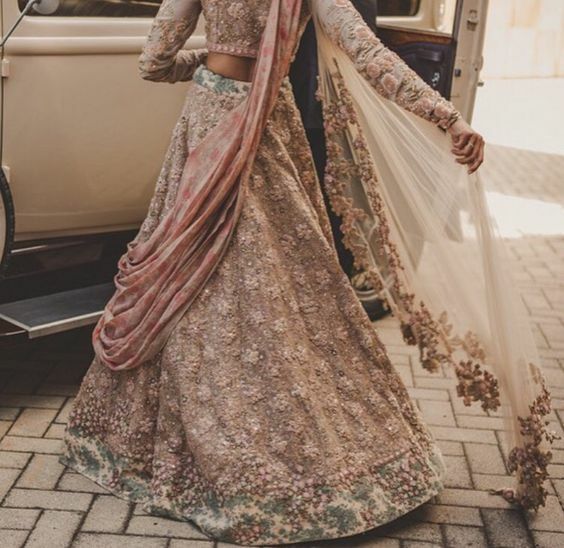 Traditional Indian couture, embroidery coupled with color coordination, shading, and inventive outlines make the wedding ensemble much more extravagant. Designers like Manish Malhotra, Ritu Kumar and Sabyasachi Mukherjee have stuck to their trademark style but have incorporated ingenious quirks to add new dimensions to their designs. 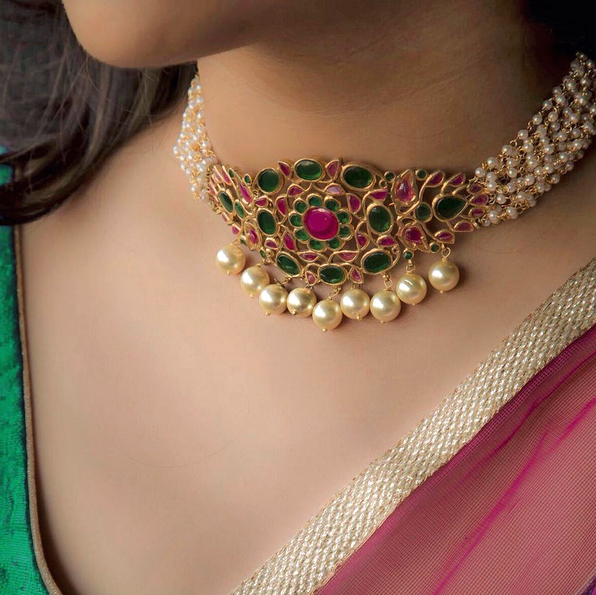 Not only has the choker made a huge comeback, because the millennials seem to swear by this particular accessory, it’s also a popular option in wedding jewellery. Add that extra edge and elegance with a beautiful choker that compliments the rest of the ensemble. No, this is not a joke. 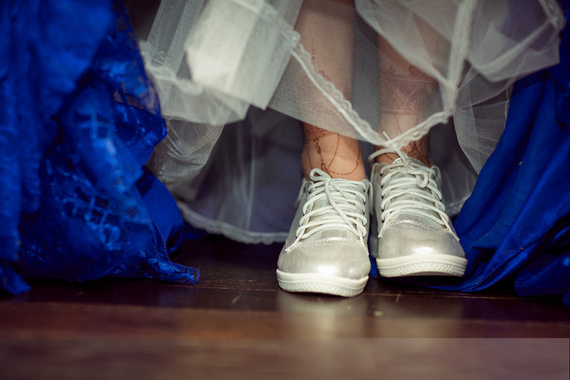 Brides are seriously ditching high-heels for more comfortable options such as sneakers, or flats that don’t make long hours painful. If you’ve got the guts to be the wild child, go ahead. Break the clichés, put your best foot forward (geddit?). Keep all the color and bling and glitz for the wedding suit. 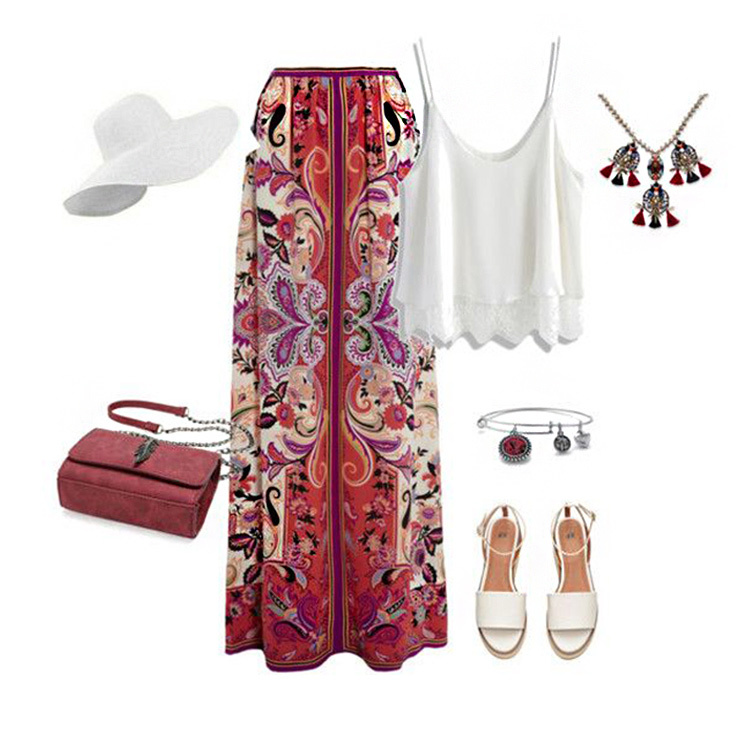 Keep your face fresh, with subtle tones and make up that doesn’t distract but compliments the ensemble in general. Less is more to accentuate those natural features, ladies. Designers such as Nikhil & Shantanu and Anita Dongre have decided to play with the color palette and leave it to the brides to take their pick. 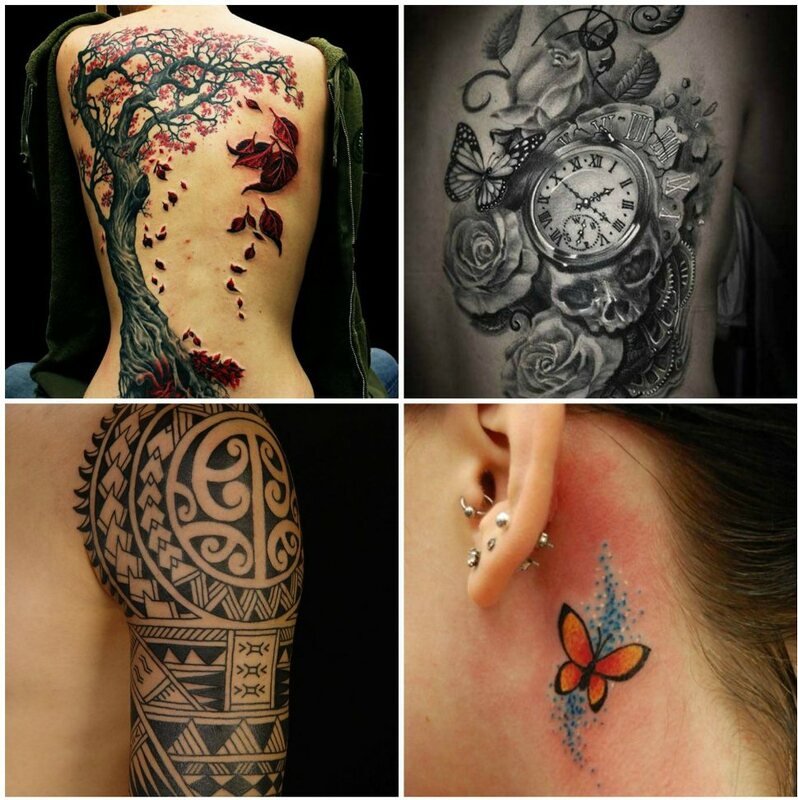 These wonderful dazzling pieces provide for a few large number of alternatives to choose from. You can decide your wedding theme accordingly. 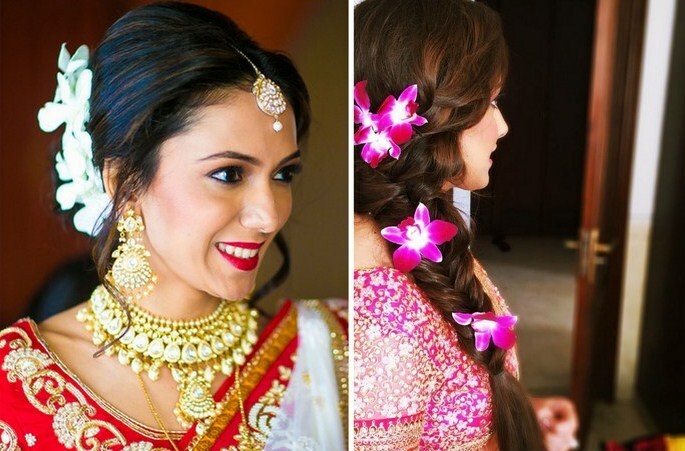 Although beautiful French knots, chignon, simple tousled waves will forever remain popular, brides these days are opting for minimalist, fresh, clean looks that makes their make-up and hair look effortlessly chic. 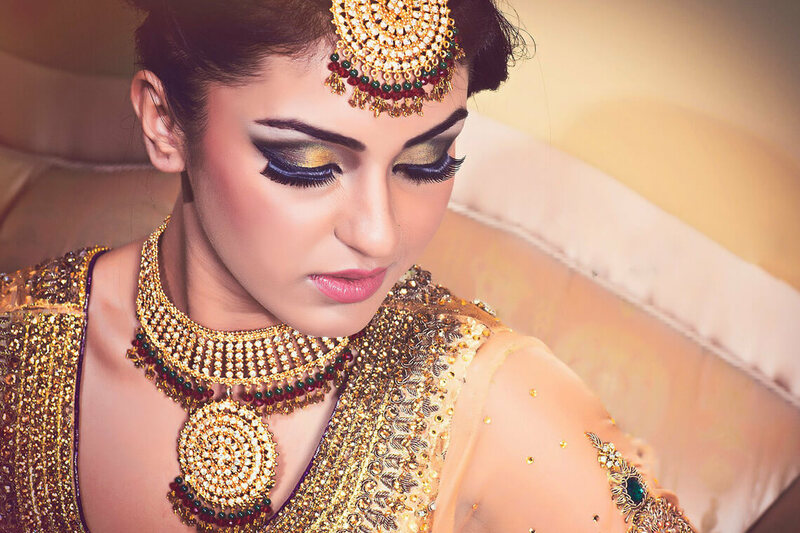 The new Indian bride is not afraid to mix the modern conventions she lives by with the enduring traditions to deliver ensemble that isn’t only elegant but also reflective of her personality.